Why Europe shouldn’t follow Australia’s lead on asylum seekers. Australia’s harsh asylum policies have been touted as a possible solution to Europe’s so-called refugee crisis. 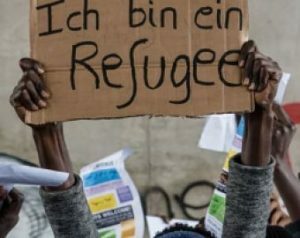 Politicians in the UK, France, Holland, Denmark, Austria and Belgium have advocated for an Australian-style approach aimed at blocking asylum seekers from accessing Europe. But there are a few reasons Europe should be wary of following this lead. Australia’s practice of turning back boats and offshore processing have attracted the most interest. When Australia can’t safely turn back a boat, it transfers the asylum seekers on board to a third country (Nauru and, until recently, Papua New Guinea), where their asylum claims are assessed. Refugees are warehoused at these locations with no prospect of settling in Australia. While turn-backs and offshore processing have been described as the “Australian model”, these policies have their origins in the United States. The US government has intercepted and returned migrant boats at sea since 1981, and has used Guantanamo Bay in Cuba as an offshore processing centre for asylum seekers since 1991. Australia directly drew on the US example when developing its current border control policies. Now Europe is following Australia. There have been many proposals in recent years for establishing offshore processing camps in countries neighbouring the EU. Suggested locations have included Albania, Ukraine, Morocco and other North African countries. There’s also a recent push to set up camps further afield in transit countries such as Mali, Niger, Burkina Faso, Ethiopia, Chad and Sudan. While none of these initiatives has been implemented, the EU-Turkey deal in force since 2016, can be viewed as a form of offshore processing. Under the deal, Turkey accepts the return of certain asylum seekers from Greece. For every asylum seeker sent back, the EU resettles one Syrian refugee processed by UNHCR in Turkey. The plan is reminiscent of the failed Malaysian Solution under which Malaysia was to accept 800 asylum seekers attempting to reach Australia by boat, in return for Australia resettling 4,000 UNHCR-recognised refugees from camps in Malaysia. The arrangement was struck down by the Australian High Court before it could be implemented. Italy returned migrant boats to Libya in 2009, without screening for asylum claims. These actions were found to be unlawful in a 2012 decision by the European Court of Human Rights. To get around this ruling, there have been attempts to outsource the responsibility for stopping boats to Europe’s neighbours. This includes funding the Libyan coastguard to intercept migrant boats before they leave Libyan waters. Europe should carefully consider the risks of going down the Australian path. As the decision of the European Court of Human Rights on turn-backs demonstrates, Europe has much stronger human rights protections than Australia. The checks and balances that exist in Europe may frustrate attempts to move further towards the Australian model. And the dark side of Australia’s border control policies is well-documented. They have inflicted devastating physical and psychological damage on asylum seekers, and created endemic social problems in the communities of Nauru and Manus Island which have hosted Australia’s offshore camps. This has come at an exorbitant financial cost to the Australian taxpayer. This all raises serious questions about the long-term sustainability of Australia’s approach. Australia’s asylum policies have been repeatedly condemned by the UN as violating international law. If European countries were to follow suit, it would greatly undermine international refugee protection. The risk is that we will see a race to the bottom, as countries compete to deter asylum seekers. This competitive approach creates a vicious cycle in which governments seek to outdo each other by implementing progressively more restrictive policies. When devising asylum policies, governments weigh up their competitiveness in deterring unwanted immigration against the value of abiding by their obligations under international law. As more states opt for deterrence over protection, this places pressure on other states to do the same. This scenario has – and will continue to have – a devastating impact on the ability of those in danger to reach safety. The protections set out in the Refugee Convention and other human rights treaties are only words. Their effectiveness in the real world is shaped by the actions of states. Implementing international law requires leadership – it needs states to lead by example to persuade other states to protect refugees. This role has traditionally been carried out by wealthy liberal democracies, which have had the resources and legitimacy required for the task. The harsh policies introduced in the US and Australia mean these nations now lack the credibility to take on this leadership role. All eyes are now on European states. If Europe goes down the same path as the US and Australia, it will be inflicting a mortal wound on the universal principle of asylum and the international refugee protection regime more broadly. This article was originally published on The Conversation. Read the original article. It canvasses issues as published in Daniel’s new book, Refuge Lost: Asylum Law in an Interdependent World. Daniel Ghezelbash, Senior Lecturer, Macquarie Law School, Macquarie University.